Building a new home or remodeling an old one? Just bring us your ideas and rough sketches and we'll work with you to create the exact drawings and materials list you need! Free when you buy your materials from us! We offer the finest nationally known brands of cabinetry and accessories such as designer faucets, sinks, lavatories, tubs, showers, and vanities! Using sophisticated computer-aided tools, our drafting departments can help you design your new kitchen or bath, right there in any of our Hammond Lumber Company locations! For over half-a-century, the Hammond name has meant quality products no matter what the project. Hammond Lumber Company is one of the largest independent building material suppliers in New England. As a member of the LMC (Lumbermans Merchandising Corporation), Hammond Lumber Company is among the most competitive, progressive, and outstanding independent dealers in the construction industry. With 21 retail locations across the state offering free statewide delivery and on-site estimates by our seasoned experts, we are dedicated to helping customers complete every project. Ekena Millwork is the leading manufacturer of high quality polyurethane products and the only manufacturer of both urethane and wood products. With over 30 years of experience supplying the retail industry, we know exactly what you—the designers, architects, builders, and homeowners look for in high quality architectural products. Our polyurethane and wood-carved product lines possesses the deepest options you will see in any millwork catalog, including: pilasters, balustrades, ceiling medallions, corbels, brackets, appliqués, mouldings and so much more. We combine historic and architectural elegance with the beauty and artistry of contemporary, innovative designs to offer the most diverse selection of product designs around. In addition to a robust selection, we strive for competitive pricing on all of our products, unparalleled nation-wide shipping, and some of the strictest quality control standards in the industry. You can find peace knowing you're getting the best deals on a top-notch product that is sure to transform your vision into a reality. You Dream. We BEAM. Nationally recognized and award-winning designer Richard Ourso is the founder and owner of The Olde Mill. He is proud to produce a variety of handcrafted mill products, created through his life-long passion and combining architecturally inspired millwork and residential and commercial design. Richard's more than 30 years of expertise in custom interior design, coupled with his passion for beautiful millwork, has given him extensive knowledge in the home building and commercial construction industries. All of the Olde Mill's products are made from 100+ year-old reclaimed Longleaf pine timbers, which is great for our environmental impact. The Olde Mill offers a range of beautiful hollow box beams, mantels, pilasters, door frames and headers, floating shelves and custom creations. Our work has been featured in residential and commercial projects and magazines nationwide. Stock sizes and custom orders are available with 2-6 week lead times depending on the scope of work. 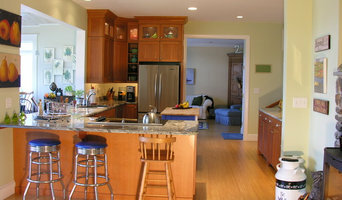 Visit our website www.TheOldeMill.com or Facebook.com/TheOldeMill for photos of our work. If you have questions about our products, or would like to discuss new home or business construction or renovation, contact us at (225) 291-8588 or info@theoldemill.com. Teton Steel, Inc manufactures many profiles of metal roofing. 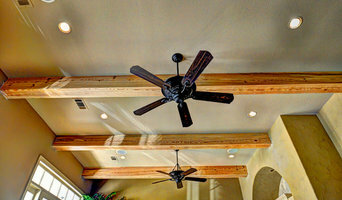 Our specialty is rustic and modern materials. Ranging from rusty A606 "weathering steel" to light gauge residential roofing. Agricultural uses, and "High end" design elements. We have been manufacturing metal roofing since 1994. We offer a full range of products made up of 15 panel profiles; vented & non-vented soffit profiles, and 19 different colors. Our full selection and variety can fulfill the requirements of almost any job! Our efficient production schedule allows a standard turn-around time of one to two days. We can also arrange delivery of your order. We have in stock all corresponding accessories to complete your order including fasteners, matching foam closures, bead sealants, pipe flashings, and specialty items. Triangle Brick Company, North Carolina’s premiere brick manufacturer, has opened an innovative Brick Garden and Design Center at 6523 NC Highway 55, Durham, NC. Triangle Brick Company is a leading brick manufacturer headquartered in Durham, N.C. It was founded in 1959 with an original plant beginning production in 1960. Over the past 50+ years, Triangle Brick has grown in size, capacity, and innovation. Now, four plants are located in central North Carolina along with their corporate office in Durham, N.C. In early 2016 a new plant is planning production in Clay County, Texas to serve TX, OK, LA, AK, and surrounding areas. Triangle Brick’s plants are turn-key operations that begin with the on-site mining of native raw materials which are then shaped into millions of face bricks, pavers, and special shapes every year. Triangle Brick currently creates over 67 types of face brick consisting of 8 sizes, 8 color families, and 6 collections – that’s over 100 brick choices. Located at the corporate office in Durham, N.C., is Triangle Brick’s Design Center. The Brick Design Center is staffed by a trained designer who offers face-to-face or virtual consultations where you are guided through the selection process of exterior finishes, including brick, shingles, paint, and more, for your upcoming residential or commercial project. In addition, the Design Center features a one-of-a-kind Brick Garden that gives customers the opportunity to see brick and mortar combinations outdoors anytime day or night. Triangle Brick has been the brick manufacturer of choice for residential and commercial customers in over 30 states across the U.S. Its products are currently supplied to dealers and distributors, masons, and construction professionals from the Carolinas to VA, GA, and beyond. Wahoo Walls manufactures a DIY Basement Finishing System that a contractor or homeowner can install. Wahoo Walls are made of non-organic materials that are unharmed by water and do not support the growth of mold. Made of JetBoard brand Magnesium Oxide adhered to an Integrity EPS by Atlas R-13 panel that is rated R-15/16 when used continuously without studs. 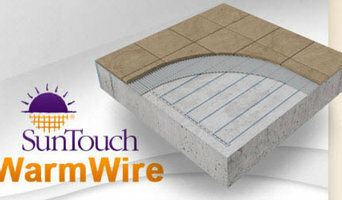 These durable solid walls are fast and easy to install. Price for 20 linear feet of 8 ft. tall wall is $550.00 for 5 Wahoo Walls Basement finishing panels. Contractor Cost is $500.00 with proof of license. Skylights for Less is your premiere authorized VELUX Skylight online retailer. We carry VELUX skylights and accessories for your residential and commercial needs. Our products include VELUX Blinds, Custom VELUX Skylights and VELUX Sun Tunnels. Visit our website for more information or call to speak to one of our knowledgable experts. 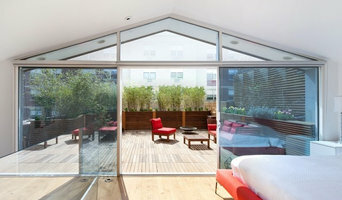 We know skylights inside and out! We are a full service reclaimed lumber company. We offer products from straight reclaimed barn wood, to milled finished products. Products include barn siding, reclaimed flooring, furniture, sliding barn doors, reclaimed beams, hand hewn beams, entire timber frames and log structures. We reclaim barns and old homesteads all over the country and are with the product from start to finish cutting out the middle man and passing the savings to our customers. We ship nationwide. Brett has been classically trained and holds both Bachelors and Graduate degrees in the field of Architecture. This coupled with his 10+ years in cabinetry design make him an ideal candidate for any project. His ability to see the space in ways others may not allows him to create both a stunning and functional space. Brett brings his personality, enthusiasm and work ethic together to achieve designs that his customers rave about. Established in 2001, Classic Construction has since become one of the leading Richmond remodeling companies. With decades in the home improvement industry, our staff is intimately involved with every project and works with our vendors and installation crews to ensure every job runs smoothly and meets our high standards of quality and customer satisfaction. FOR THE PLACE YOU LOVE. Manufacturer and retailer of high quality hardwood products. Including: mouldings, handrails, stair parts, T & G flooring and paneling, S4S lumber and many other products. 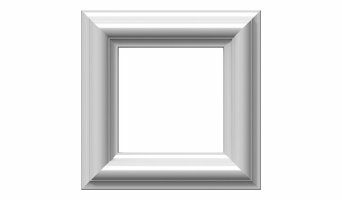 Most of the mouldings listed in our catalog are carried in stock and are available in Oak, Poplar, Maple and Cherry. Hickory, Ash and Walnut are available special order. If you have a special profile, we are also capable of milling your custom profile. Baird Brothers also stocks and prehangs all types of species of interior doors including solid hardwood doors manufactured at our facility. In 1960, three brothers started the business. Today Baird Brothers is truly a family business as the children have followed in their footsteps and are active in the business as well. Baird Brothers continues to grow in size each year to meet our customers demands.